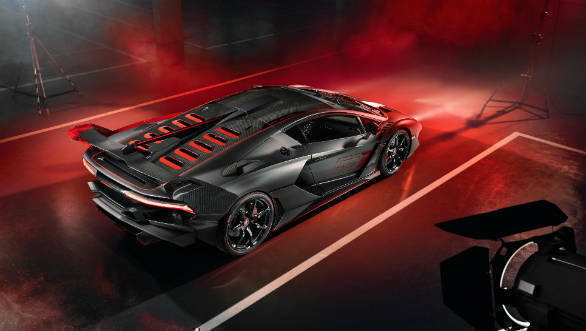 Lamborghini has made a tradition out of launched limited run specials which are even more outrageous to look at than their standard cars and are quicker still. But with the latest Lamborghini SC18, the company seems to have one-upped itself. The SC18 is a one-off, the first by Lamborghini and is also the first project developed by the company's Squadra Corse motorsport division. Based on the Aventador and running the same engine spec as the Aventador SVJ, the SC18's 6.5 litre naturally aspirated V12 makes 770PS and 720 Nm. The exterior has been heavily reworked with bits from the Huracan Super Trefeo Evo, in the form of the numerous side and rear fenders, fins, and air scoops that litter the the exterior. The bonnet also get 12 vents for better heat management, derived from The Huracan GT3 Evo. Other notable additions is the large carbon fiber wing with three mechanical adjustments and the heavily reworked rear end, which has a bare look with a large diffuser and vents dominating the look. The body has been finished in carbon-fibre and gets red accents throughout. 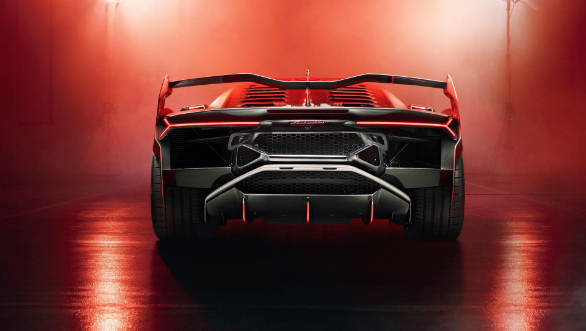 The SC18 is built around a carbon-fibre monococque like the standard Aventador. The heavily track-focused SC18 is legal to be driven on the road. 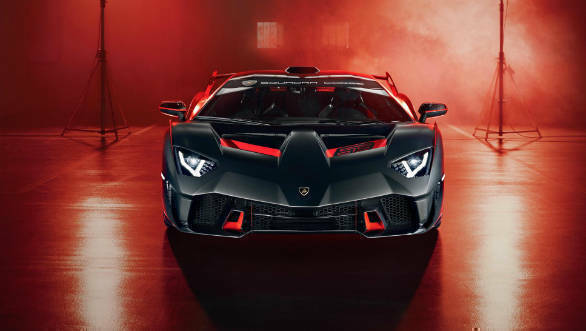 The Aventador SVJ gets from 0 to 100 kmph in 2.8s and onto a top speed of 350 kmph. The SC18 should be quicker amd gripper than this and also lighter than the SVJ's 1,525 kgs. 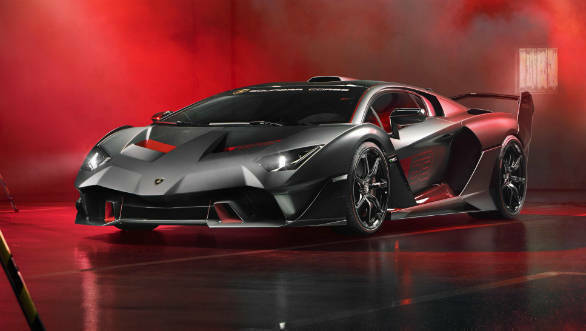 The SC18 seems different from the earlier special Lamborghinis by way of its focus and the motorsport division's inputs in making the car. This car is a showcase of Lamborghini's motorsport capabilities, distilled into a road-going package.